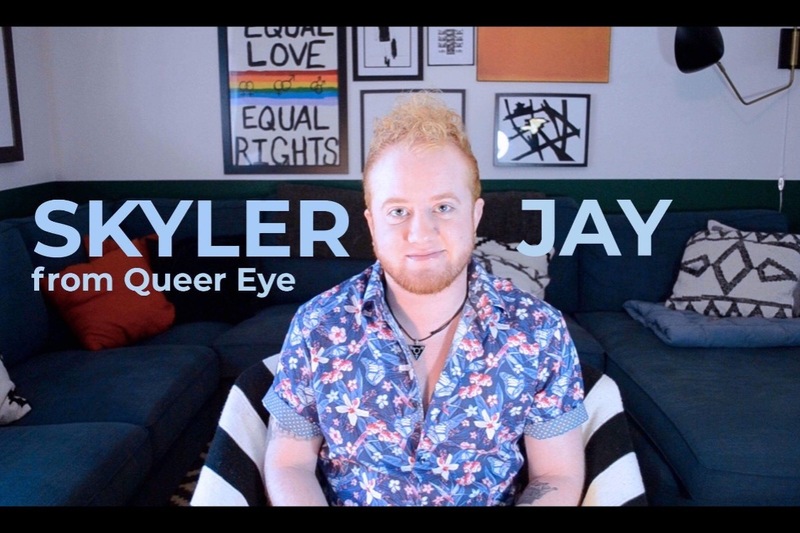 Thank you so much for watching my Queer Eye episode Sky's the Limit, and for visiting this donation page that is a direct result of all the many requests I have received from people asking to help me since the show aired. This fundraiser will go directly toward my medical debt and some funds I will donate to couple of community organizations that could also use the help. Thank you to everyone who has already donated in the first half of my fundraising efforts! Over the last year I have received a couple of wonderful blessings: I received $8,200 from my direct community to fund my gender affirming surgeries, which cost $16,200 in total before the cost of the unforeseen complications. Those donated funds changed my world, gave me my full life back, and several important moments in my transition to share with the world on Queer Eye. And then of course my time spent with the marvelous Fab5 and all of the wonderful gifts and blessings given to me by them. Getting my top surgery has been the most important thing in my life for years, and I never would of predicted that my body would have such a horrible reaction to all the drugs I was put on to have the surgery. During my healing process I have also been dealing with trying to get insurance coverage for my necessary care and surgeries. My current job has Transgender specific exclusions when it comes to Trans healthcare access, which is part of what got me into the situation of needing help in the first place. I am currently bringing a case against the University System of Georgia to have these exclusions removed for all of the public colleges and universities in the state under the USG system. This is another unforeseen financial cost I have carried this last year. Having to spend a week in the hospital, battle with my insurance company/employer for coverage, have a second surgery revision and potentially a third, as well as several months of monitoring my GI tract to ensure my internal bleeding did not reach fatal levels has all taken a mental, emotional, physical, and financial toll on me. Which leads me to a place of accepting the help that has been offered to me and creating this page. However, my innate nature and being a community activist/educator makes my ultimate drive in life to give back to my community. Having so much given to me over the last year has been life changing and difficult to process because I can honestly say the past year is the most loved I’ve ever felt in my entire life. Since Queer Eye came out, I have received countless messages inquiring about a donations page to assist me with my medical debt. To be honest, I struggled with allowing myself to post a donation campaign because I feel like I have been given so much the last year, and there are so many others in my community who deserve a chance under the spotlight when it comes to love and support. So I had an idea, help those who helped you first. And I’m pleased to say it’s been extremely successful so far. I asked the world to first help me repay the $8,200 that was gifted to me by the community by donating to five different places in my name spread out to total the $8,200. Three out of five places, TranscendLegal, and Cash and Paisley’s top surgery funds, donations pages were up and all have already have hit the goals I set. The remaining two organizations have received several donations totaling a few hundred dollars already getting them closer to the goals I set. Athens Queer Collective and Southern Fried Queer Pride are organizations close to my heart, and do an incredible job of helping a lot of people in different ways. Both organizations utilize PayPal accounts to receive donations, and I know that can be tricky to navigate. This donation page will hopefully make the process of giving back a little easier, providing a visual meter for people to see their donation impact. Once their goals are reached of around $1000 each, any further donations will all go directly to my medical debt.